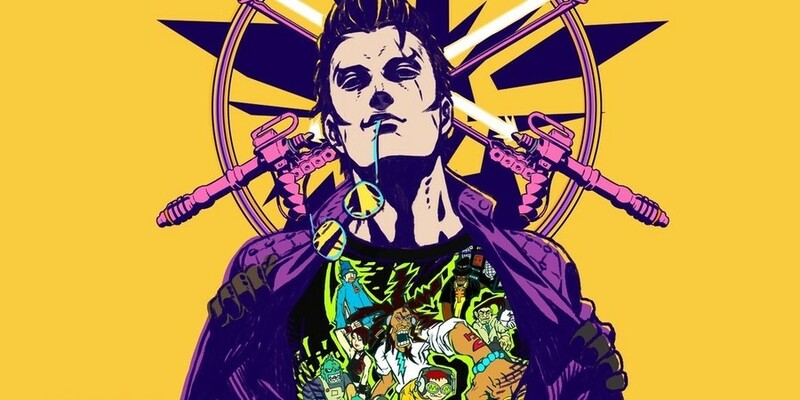 Earlier this week, the one and only video game designer and director Goichi "Suda51" Suda, revealed the No More Heroes spin-off Travis Strikes Again would include a special t-shirt design from The Legend of Zelda: Majora's Mask. Yesterday, Grasshopper Manufacture shared a few last minute announcements. The first was a new stage called 'Serious Moonlight' based on Shadow of the Damned - a PlayStation 3 and Xbox 360 title released by the developer in 2011, and the second announcement was a 'Day 7 Patch' which will add a brand new opening movie to the game. Have you played Travis Strikes Again yet? What's your favourite shirt in the game? Tell us below. Still not sure about buying this game. I loved the Wii games, but I'm not sure if I'll get the same amount of fun. I've heard this game's combat is repetitive. @HeroicTako His biggest selling point is that’s a Suda51 game. That means it probably won’t be for everyone, specially for those who don’t get why the T-shirts, text games and video game references. I was on the fence about it and only the game itself proved me I was wrong. This game just sounds like a train wreck. Is it Nintendo Life's intention to convey the idea that the most exciting feature of the game is t-shirts that remind you of other games you could be playing? And why is a game that looks like a basic, no frills indie title being released in such an unfinished state with scheduled DLC and a season pass? This isn't a big, online game with a community element like Splatoon where updates actually make sense. A basic single player (OK, two players locally) game should be complete when you buy it. @HeroicTako Because it's upcoming (and I assume free) DLC and a fun part of the game, but not the main focus of it. You can see it as a tribute to game developers. The main gameplay has been covered a lot already. I bet none of us have played the game yet, but I will be getting it next week. Can update you then if the t-shirts are the biggest selling point of it or not. Edit: Based on reviews, this game seems like one of those titles that split the critics into three camps: those that like it, those that thinks it's absolutely fine, nothing more, and those that dislikes it. A 69 on Metacritic is not great, but it's not bad. It's up to us gamers to decide if it's worth getting or not. It seems like mindless fun to me. Certainly not a "train wreck" like Fallout 76. The biggest selling point is its wackiness that´s trying to cover the average content and gameplay. Like Suda51 always does. Gameplay, graphics, mechanics, and polish aren't everything. Sometimes a game can be about collecting T-shirts, getting an amazing bowl of ramen from a red skull headed bug chef, and suplexing your Hero into tomorrow. Not for every0ne, but definitely every0ne should be glad it exists and people like Suda51 are out there trying something different and weird. @TheFox What's unfinished in the game? I don't get why there's so much negativity here. It's not for everyone but it's a pretty fun game. And I personally really like the whole tshirt thing. Something about running around in a Just Shapes & Beats or a Golf Story shirt just adds that little bit of charm that makes the experience all the more enjoyable. @BenAV Maybe we should just talk about the shirts instead of being negative, since that's what the actual article is about. I am rockin' the hot pink Pocket Rumble shirt. Who's next? @Anri02 The game is already out and their patching in content. And opening movie is part of the "day 7 patch." And then there's a forthcoming season pass. I hate to sound like one of those people who rants, "These greedy publisher are trying to trick me out of my money, MY MONEEEEY!!!" I even think season passes are understandable for multiplayer games with dedicated servers (Switch and servers, LOL) so that new content is made available to everyone at once and to rebalance gameplay, etc. But in a game like this, linear and not online, it just comes off looking like they just couldn't be bothered to finish the game. In a game like this, what benefit is there to having levels that can't play until April? @EasyDaRon Have you even played Killer7? Nothing about that game can be described as ‘average’. The amount of negativity I've seen from some users on here is ridiculous. The game is fun and clever and it's okay if you don't like it but why waste timing posting snarky comments in a news post about a game you don't care about? What did Suda ever do to you? @TheFox So was Xenoblade Chronicles 2 an unfinished game because it had content patched in after release, and has a season pass despite it not being a multiplayer game? Actually, the gameplay is very, very good if you enhoy classic coop beat'em ups like Streets of Rage/Final Fight and while the graphics aren"t technically AAA, the style looks great and there are many really beautiful moments. If you only like generic stuff, Suda's games aren't for you, but not every game needs to cater to the lowest common denominator. I am quite enjoying the Quentin Tarentino vibe I get while playing... it is a fun game and indie collaboration and wackiness really give it some character. @HeroicTako because they really want NMH to be one of those beloved darling game by associating themselves with them , notice all the shirts are of those kinda games including very particularly Majora, Suda or whoever is behind this probably hates that they can’t use a Team Ico game, Phantom Dust or Souls game. What I learned from this is how some people must really enjoy bad games. 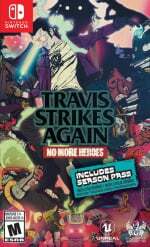 There being added again too travis strikes ? I remember really enjoying collecting and trying out new T's in the original game. This is no different. T's in NMH have always been a cool collectable. @jly1987 Don't bother arguing with him... This is the guy who started a thread complaining about people wanting ports and a few days later started another thread asking for a port. Dang. I thought they were actual shirts and I would totally rock a NMH shirt. Haha! That's my fault for being hopeful. Oh well. Hoping this'll be a fun set of mini games. The shirts have always been there. Lots of other games have clothes and armor to customize the character. Why slam on NMH for it? @jly1987 Finally! Somebody who understands that 6-8 doesn't equal terrible. @KingdomHeartsFan This exactly. I spent so much time in the first two doing minigames just to get all the clothes. Game arrived the other day but I haven’t played it yet. Too busy with Tales of Vesperia and New Super Mario Bros U. @Anri02 I haven't played Xenoblade 2, but my understanding is that straight out of the box, it's a really big game. So it's easier to give a game like that a pass, partly because RPG games can take so long, some people may straight up not want the extended version. For example, I'm still working my way through Shin Megami Tensei IV Apocalypse on 3DS, which seems to never end. The last thing I'd want is for it to be even longer! But Travis Strikes again is a relatively small, simple, and short game, so breaking it up and delivering it in pieces makes far less sense. @EmirParkreiner I love the way it's ok for you to say this but when I said RDR was aimed at the LCD everyone attacked me for it. Also just because something's sylish doesn't make it good. It's like the Lady Gaga of video games. This may be a stretch - maybe not - but, do you think the game is getting this post content as a joke on the state of gaming today? I mean why else a "Day 7" patch, and easily added T-shirts? I mean aside from the later level(s?) to be added. It feels like Suda is ripping on AAA practices. It's hilarious, and I can't wait to support it when I have the funds. @onex It's entirely possible. There's a few lines of dialogue where they talk about the Metacritic score of the game going down due to the text based parts of the game. I can see Suda doing something like that. I was not convinced by the videos but now having actually played the game for a few hours I'm loving it. Very arcadey and a nice stress reliever within the NMH world. Style over sustance maybe, but that's not always a bad thing. If you're a fan of Suda's work then you should enjoy this. Should. As others have said it seems divisive. @onex The "day seven patch" thing definitely strikes me as a joke. We have no idea what this new opening movie is going to entail, but it's not like the game doesn't already have an opening movie. Some people just seem so determined to find something to rip about this game they're complaining about something that's clearly meant to be a joke. Did Suda kick their dog and slap their mom or something. I don't get it. Too much time on their hands, I guess. As for the t-shirts, there might be licensing issues since these shirts are based on games from major publishers or it might be as simple as them wanting to release new shirts over time to keep gamers engaged and interested, especially with the second half of the season pass not dropping until April. Honestly, it always amuses me when people complain about free content, but people will complain about anything I guess. 69 metacritic score. Ouch! This will be a gamefly rental for me. I haven't played this game yet, but never did I think the collectable t shirts are the main selling point of this game..... Don't know how people came to that conclusion, but whatever. Y'all really hung up on these shirts, huh? It's not the selling point, but it's part of the selling point - TSA:NMH is a celebration of games. Not quite in the Smash Bros. sense, but playing them side-by-side, they make interesting counter-points, especially in the current climate where some major devs and publishers seem to have an antagonistic relationship with the players. I didn't buy TSA:NMH because I could buy a Hollow Knight shirt for Travis, but I also kind of did. If games like the new Tomb Raider or God of War are a deconstruction of gaming, exploring thr dissonance of violence and avatarism, TSA:NMH is like a punk-rock essentialism - pressing buttons should be fun, and story doesn't have to justify that - in fact, you can also have a fun in the narrative space. Also #travisforsmash Suda wants it, I want it. THE WORLD NEEDS IT!